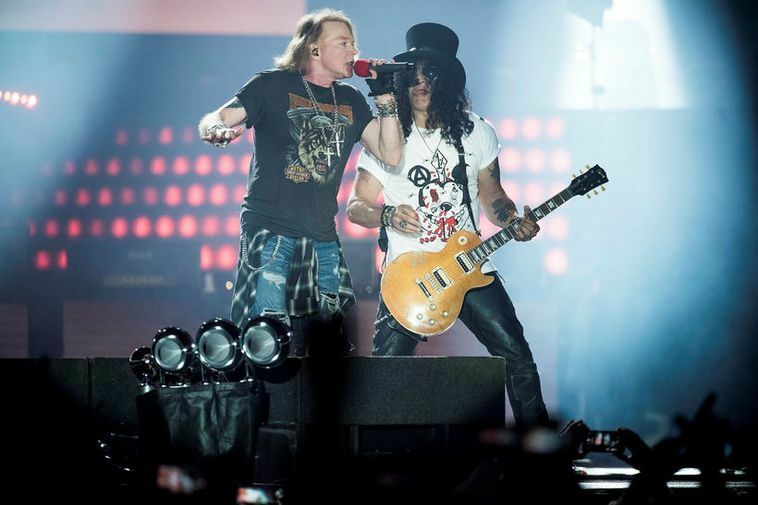 The organizers of tonight’s performance of the US rock band Guns N’ Roses at Laugardalur Arena, Reykjavík, encourage fans to show up early to avoid long lines. The event will be one of the largest ever held in Iceland, with up to 26,900 in attendance. On Sunday, more than 23,000 tickets had been sold. Tickets can still be purchased at show.is. The gates open at 4:30 pm. Concert goers are encouraged to use public transportation, walk or ride their bikes to Laugardalur. Strætó bus service will offer special express rides from three Reykjavík locations to Laugardalur. Those rides depart from Reykjavík University, Mjódd and the bus stop north of Kringlan shopping center (by Orkan). Those who ride from Kringlan are encouraged to park their cars in the Sjóvá parking lot and behind Verlslunarskólinn junior college. Return rides will be offered to the three locations, leaving from Suðurlandsbraut road. Event ticket holders get a free ride, upon presentation of their tickets. Reykjavegur road will be closed prior to and during the event, and Engjavegur road will close at 4 pm to all but concert goers. Parts of Suðurlandsbraut road will be closed following the event. Recommended places for dropping passenger off are Glæsibær and Sundlaugarvegur road. Part of the Laugardalur Arena parking lot will be open, but only to vehicles with four or more passengers.